All the care your child needs under one roof! 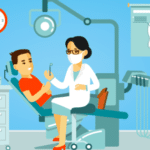 Regular dental checkups for kids by pediatric dentists are required to assess their general health and any infections that can affect their integrity. The pediatric dentist will also prescribe the right treatment plan! Fluoride varnish for kids is a highly concentrated form of fluoride available at Little Pearls which is applied to the tooth’s surface by our pediatric dentists, as a type of topical fluoride therapy which goes a long way in strengthening the enamel and preventing caries and decay. Painless way of protecting your children’s teeth from tooth decay by our pediatric dentists. 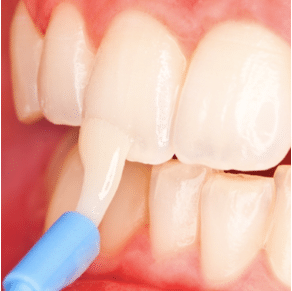 It is a plastic coating which covers the chewing surfaces of the back adult teeth. The sealant for kids forms a hard shield that keeps food and bacteria from getting into the tiny grooves in the teeth. At Little Pearls in Bangalore, you can trust our pediatric dentists to be kind, caring and compassionate for your kids with special needs be it mental or physical. Little pearls dental clinic for kids is designed keeping in mind the possible necessities kids with special health care needs require. 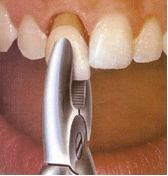 A tooth starts to decay if the caries is not removed and filled. Pediatric dental fillings for kids go a long way in preventing long term issues like infection transmitted to the underlying permanent teeth! 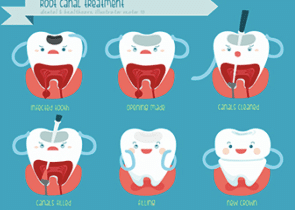 Pulpectomy is also called baby root canal treatment. 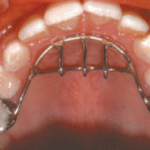 A cavity that involves the nerve of the tooth will cause a child to experience intense pain. 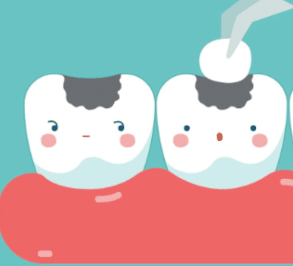 Although the pain may actually subside for a period of time using antibiotics, it will return unless the tooth is properly treated by your pediatric dentists. 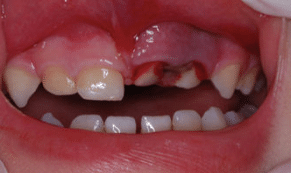 The most commonly affected teeth in dental trauma are the upper front teeth and damage to them can include chipping, loosening and displacement, or avulsion.The child should be brought to the Dentist immediately. 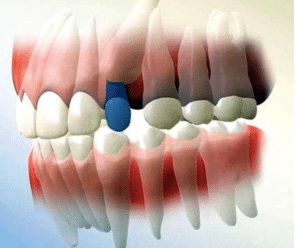 Serial extraction is the planned extraction of certain primary teeth and specific permanent teeth in an orderly sequence and predetermined pattern to guide the erupting permanent teeth into a more favorable position. For many years stainless steel crowns have been a significant part of paediatric dental care at Little Pearls.They are prefabricated crown forms that are adapted to individual teeth and cemented by our pediatric dentist.As a result stainless steel crowns continue to be the restoration of choice at Little Pearls for primary teeth and are a cost effective option as they are less expensive. Aesthetics matter – even for kids. 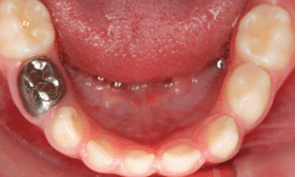 Also primary dentition should remain intact for as long as possible. In the case of heavy caries or tooth trauma the Strip Crowns can help to restore the upper anteriors in a highly aesthetic way. Cleft lip and cleft palate repair is a type of plastic surgery to correctthis abnormal development both to restore function and to restore a more normal appearance.Most times,cleft repair is done when the child is 3 to 6 months old. Reattachment of the fractured anterior tooth for kids is a highly conservative and aesthetic treatment that has been given importance at Little Pearls. An immediate endodontic intervention followed by bonding. 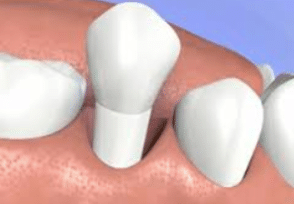 Re implantation refers to the insertion and temporary fixation of a completely or partially knocked out tooth before the milk teeth fall age due to traumatic injury. 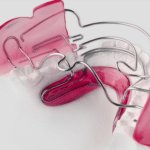 There is no realistic way to prevent the fall of teeth as it usually occurs due to an accident. It is normal for the children to have to unhealthy oral habits. 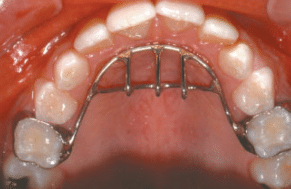 Some of such habits include thumb sucking, nail biting, lip biting, tongue thrusting, mouth breathing etc which can be corrected through pediatric orthodontics. In order to control such routines, separate appliances are designed and manufactured. Orthodontic treatment for kids & teenager including preventive orthodontic care done by our orthodontists and pediatric dentists such as Dr Neeraja Raju at Little pearls dentistry. 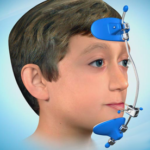 These are appliances crafted & handed over to parents to help their kids facial growth assessed in a proper and directed manner to enhance the appearance . 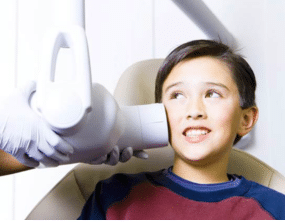 OPG (ORAL PANTAMOGRAM) Enables our orthodontists to assess the alignment and anchorage of the teeth before starting the movements to make the treatments more precise. 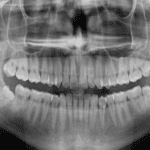 Involves correcting the root cause of mis aligned teeth during adulthood. It involves correcting detrimental habits such as thumb sucking & tongue thrusting using habit breakers. 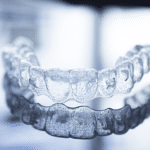 Invisalign includes a set of transparent & removable trays which gradually moves your child's teeth to the desired position. 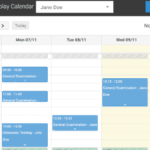 We have designed our practise which is compatible with the needs of special kids! 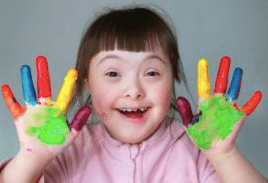 Our pediatric dentists have been trained specially during their M.D.S to handle special kids. 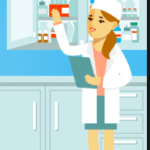 Our pediatric dentists don't wear white coats to prevent any fear a special child might face. Our staff has been trained in hospitality inculcating a friendly nature in them to handle special kids! We have special dental chair equipment to make them feel comfortable. Our dental chairs have a special child friendly design keeping all their physical & mental needs in mind. 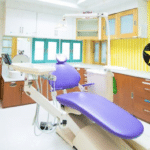 The dental treatment plans at Little Pearls for special kids is minimalistic & precise. We make the procedure as short as possible during convenient timings for special kids! We record the medial history as well as they might need a different approach compared to other kids. 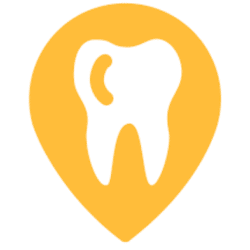 The complete underlying medical history is recorded to integrate it effectively with the dental treatment! 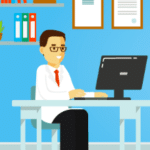 Convenient practo slots with minimal waiting time for special kids. The slots with the pediatric dentists for special kids have minimal waiting time at Little Pearls Dentistry!